Professional sightseeing drivers will guide you around Nagasaki's sights and popular courses comfortably by taxi. 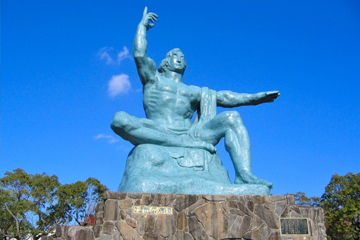 Easy NAGASAKI sightseeing by a taxi We will show you various sightseeing spots in Nagasaki. Lucky Group supports your comfort trip with a knowledgeable and professional tour guide. 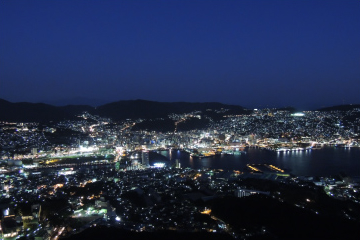 If you are thinking of traveling to Nagasaki, please feel free to call us! We will help you make unforgettable memories during your stay. This is the course in which we go sightseeing around downtown Nagasaki by taxi. We will go to the popular Nagasaki sightseeing spots such as Megane-bashi, Dutch Slope, the Glover Garden and so on. 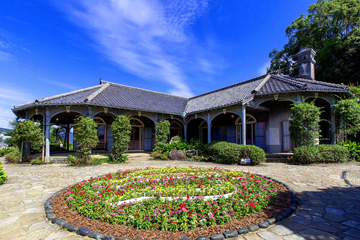 This is the course in which we go sightseeing at registered the World Cultural Heritages such as "Former Glover Garden" and "Kosuge Ship Dock". As well, we will visit some of newly registered the World Heritage "Hidden Christian Sites of the Nagasaki Region". This is the course in which we go to Mt. Inasa observatory to view the Nagasaki night scape. This is one of the top 3night views in Japan. Also included are visits to other spots such as "Megane-bashi"　where you can see it lit up at night. In the following form, please write questions and submit. ※We will only reply to you in English. Copyright © 長崎ラッキーグループ All Rights Reserved.